was put together in 1994 as "Orquesta Tipica de Berlin" by the bandoneon player Paul Raackow, pianist Robert Schmidt and double-bass player Michael Benter. As one of the few real tango orchestras outside Argentina, and with its very own style, the sextet's two bandoneons, two violins, piano and double-bass was a throw back to the orchestral tradition of the instrumental tango music from Rio de la Plata in Buenos Aires. However, famed orchestras at the height of the tango heyday, such as those of Osvaldo Pugliese or Annibal Troilo, were also a source of inspiration and orientation for TANGO REAL - in the 1940s tango was primarily an urban dance music performed by the most talented of musicians. TANGO REAL`s arrangements combine the essence of Tango Argentino - the pulse, the sorrow and its emotional intensity together with the musicians` personal expressions. For Tango Real, meeting and playing together with such well-known tango musicians as Rodolfo Mederos or Nestor Marconi is just as important as the communication with the audience, whether at tango balls, concert halls or major tango festivals. has been involved in Argentinean tango music of the 30s and 40s since 1984. During his stays in Argentina he further developed his understanding of the 'tango argentino' by working with, and learning from, professional tango musicians such as Nestor Marconi, Osvaldo Montes and Rodolfo Mederos. His first tango formation, 'Neue Tangos' was established after working with various tango singers in Germany and abroad. He was the founder and arranger of the internationally-renowned tango orchestra 'Tango Real' . 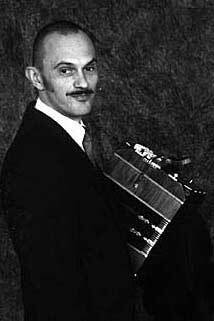 He has appeared on Argentinean television and is one of the few well-known German bandoneon players to have made guest appearances as a tango musician at international festivals. His own solo-CD 'Mi Refugio' has been released by WeltWunder Records too. 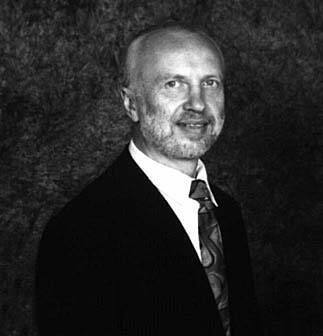 Matthias Leupold began studying the violin in 1982 at Hochschule der Künste, Berlin under Hans Maile and attained the grade "Very Good" in the final examination. He received lessons from Nathan Milstein and Ruggiero Ricci on several occasions. 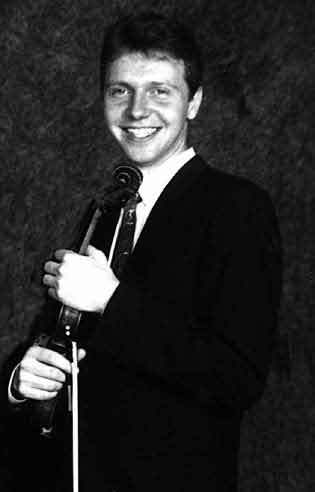 Even during his university studies he played with Orchester der Deutschen Oper, Berlin, the German Symphony Orchestra, Berlin and the German Chamber Philharmonic Orchestra, Frankfurt. 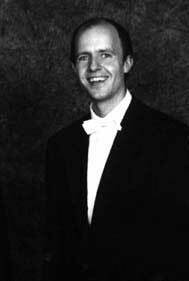 Matthias Leupold has been a member of the ensemble Oriol, Berlin since 1993. His commitment to modern and contemporary music lead to the establishment of the Modern Art Sextet. The compositions dedicated to the sextet were celebrated with a premiere performance. His many solo recordings have been released on CD or broadcast as radio productions. studied classical piano at the Cologne College of Music under Professor Aloys Kontasky. He even gave live performances and appeared on television while still at university, not only as a soloist but also as part of a duo. Following the conclusion of his studies, his musical interests initially turned to jazz and improvised music. He discovered tango as a result of his interest in the works of Astor Piazolla. In 1994 he formed the ensemble TANGO REAL. Concert trips as a tango pianist took him throughout Europe and also to Uruguay and Argentina. During such tours Robert schmidt played with famous Argentinean musicians which included appearances on wellknown Argentinean television shows. Just recently he recorded a Duo-CD with former band member Peter Reil under the name of Puro Apronte. Peter Blazeowsky studied double-bass at Hochschule für Musik (HfM) in Dresden. His studies were followed by an engagement at the Neubrandenburg Philharmonic Orchestra. Since 1980 he has been working as a theatre musician in Berlin and has played with many jazz bands. Besides his role as a studio musician, Peter Blazeowsky is a member of the German Film Orchestra Babelsberg and plays bass for the ensemble "Tiempo de Tango". Upon being invited, the Berlin sextet Tango Real were more than pleased to be given the opportunity to play at the third 'World Tango Festival', the 'Cumbre Mundial del Tango', and embarked on a tour on which their first port of call was Montevideo in Uruguay. Here the six German musicians had the honour of playing three concerts to the delight of an enthusiastic audience at a festival which not only boasts 500 artists from 17 countries, but also attracts fans and tango dancers from all over the world. Following the conclusion of the two-week 'World Tango Summit', and fuelled by the chance of giving five further concerts in six days, Tango Real took the opportunity to make the short trip across the Rio de la Plata and venture into tango's homeland Argentina, and play, among others, in such well-known and venerable tango venues as Club Almagro and Café Tortoni. Full of inspiration at the end of their Latin America trip, they went into the Melopea studios for a recording session which laid the foundation for their second CD release, this time round with the Argentinean singer Pablo Banchero. However, two members of the band succumbed to the charms of the birthplace of tango and were not among the party which returned to Berlin. Following an artistic pause the summer of 1997 saw Tango Real celebrating their comeback as a quartet. Further recordings were scheduled for Pablo Banchero`s return visit to Berlin creating a link between the old times - Tiempos Viejos - and a new chapter in the band's history. As was the case with the former line-up, today's ensemble, in the form of a quartet, plays world-famous Tango Argentino arrangements and classics from the music's heyday. However, the wide-ranging repertoire has also been supplemented with Tango Nuevo gems made famous by the composer Astor Piazzolla. Bandoneon, violin, piano and double-bass have characterised the sound of Tango Argentino, and it is with these instruments that the TANGO REAL QUARTET carries on the orchestral tradition from tango's heyday in Rio de la Plata. Their international experience in various line-ups has provided the quartet's musicians with a virtuosity quite uncommon in Europe, an asset that guarantees an exciting and varied evening's entertainment. Since its formation, the ensemble has held close ties with masters of the Argentinean tango scene such as Rodolfo Mederos and Nestor Marconi, and accompanied several well-known musicians during European performances such as Ricardo and Nicole, Siro San Roman and the current holder of the Hugo-de-Carril prize, Pablo Banchero. TANGO REAL has also recorded a CD with the Argentinean singer Pablo Banchero entitled "Tiempos Viejos" (Old Times). was born on June 29th, 1966 in the Argentinean capital Buenos Aires. The young singer emanates from a family which has had close ties with the Rio de la Plata dance music, its poets and musicians since the very beginnings of Tango Argentino. As a youngster Banchero received his first singing lessons in the tango city 'San Telmo', and in addition began studying percussion in 1991 at Escuela Superior de Percusion, the Associa-tion of Professional Orchestras. In 1993 he received a scholarship from the Berklee College of Music in Boston, USA, and embarked on his career as a tango singer in the traditional bars and cafés in Buenos Aires. The thorough training in singing techniques, harmony, arrangement and composition put him in good stead to move onto collaborations on projects with such well-known tango ensembles and instrumentalists as Hugo Romero, Osvaldo Montes, Walter Castro and Virgilio Exposito, and ultimately led to the first prize in a singing competition staged by the city of Buenos Aires. Pablo Banchero completed his first solo tour in Europe with Tango Real in 1996, and venues in Europe and, in particular, Finland, were on the agenda for 1997. In the meantime, the ensemble's current musicians have easily equalled the success enjoyed by the former line-up. Besides numerous appearances in their hometown Berlin (among others Kammermusiksaal der Philharmonie, Deutsche Oper, Rotes Rathaus or the laudative role during the award of the 1998 BZ Arts Prize at Deutsches Theater) the concert tour also included performances at the Hans-Otto-Theater, Potsdam, the Theaterhaus Gessnerallee, Zurich and the Daimler Benz Museum, Stuttgart (ball in honour of the Argentinean racing driver Fangio). In addition, 1998 saw the Tango Real Quartet accept an invitation to the 4th World Tango Summit in Lisbon where it took on the role of official representative of the city of Berlin between May 17 and 20, 1998 by giving two performances to the delight of a very appreciative audience. 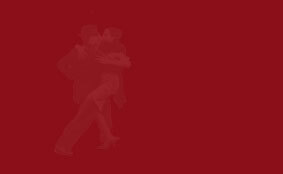 Homepage of Tango Real Quartett !